Restaurant Wilde Zwijnen (Wild Boars) offers delicious, local and seasonal, Dutch dishes and uses organic ingredients whenever possible, including wild boar. 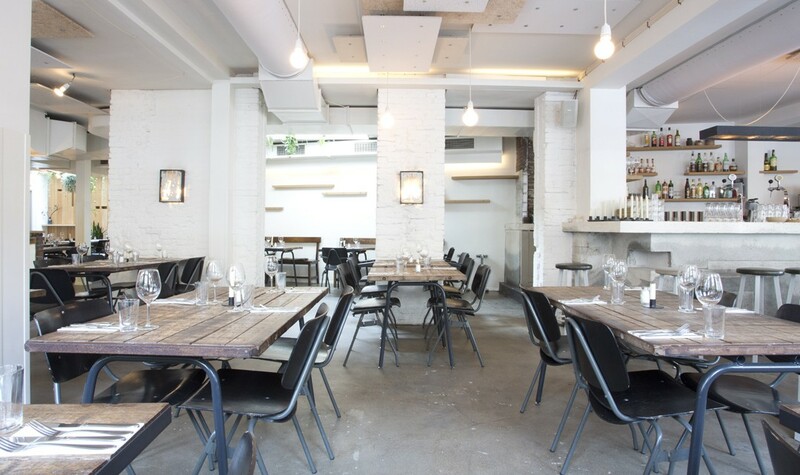 With recycled wood furniture, simple light bulbs and a concrete floor the interior is simple and yet welcoming. The open kitchen allows you to observe the kitchen antics and preparation of your food. Wilde Zwijnen prides itself on using local, seasonal Dutch ingredients and combine these with influences from the Mediterranean to serve original, high quality, delicious dishes. Aware that the term “Dutch cuisine” is almost an oxymoron, Wilde Zwijnen is conscious of the need to change this perception and strive to deliver innovative yet accessible dishes, that demonstrate the potential of the Dutch kitchen. They are helping to break down the stereotype that Dutch food is quite basic and practical and lifting it to a new level. Furthermore they are doing so but at a very affordable price point. Offering excellent value for money in both their restaurant and in their “Eetbar” (literally Eat Bar) next door, where small sharing plates are available. 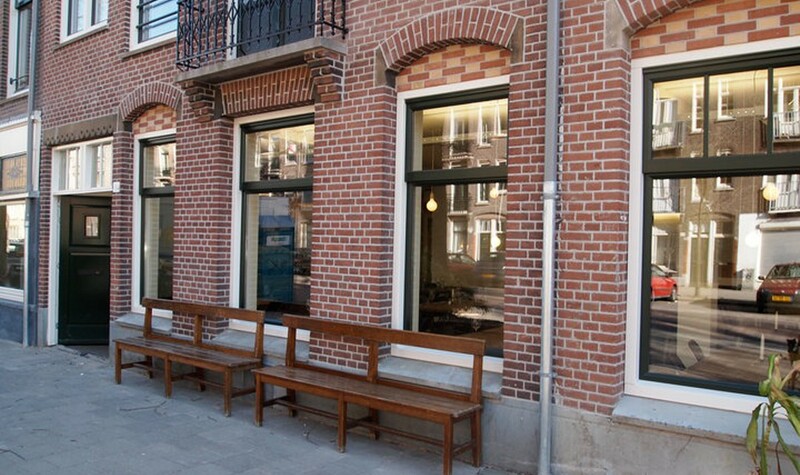 Wilde Zwijnen is open for lunch from Friday to Sunday and dinner 7 days a week. They have an à la carte menu, but they also offer a very reasonably priced 3- or 4-course chef’s menu. And don’t let the name put you off – they also serve vegetarian and fish dishes (of course using sustainably caught fish). 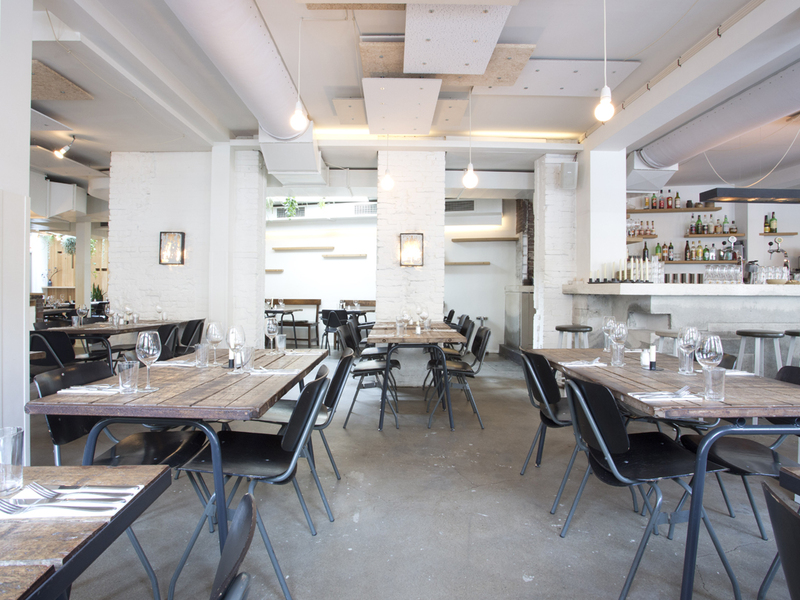 The atmosphere is that of a cosy canteen with minimal décor and recycled material. They offer free Wi-Fi and in the Summer they have a terrace. We recommend you give Wilde Zwijnen a try. 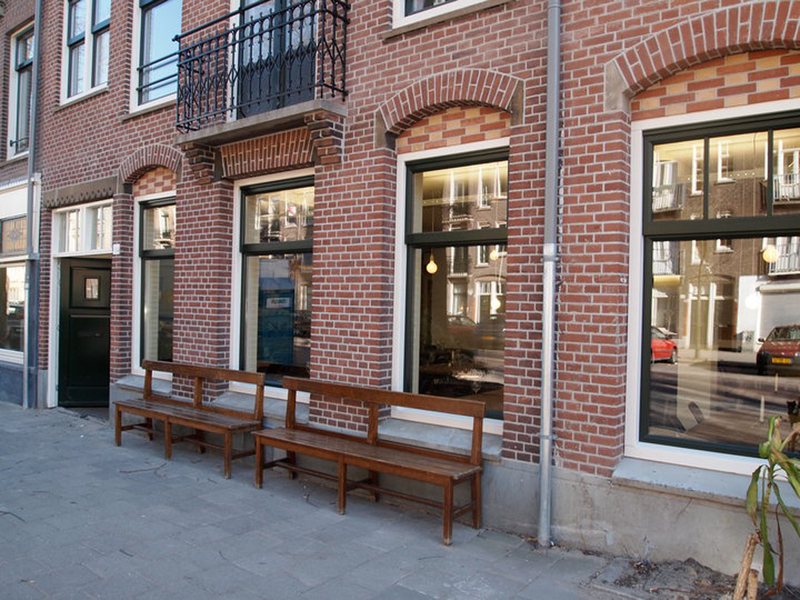 Besides the fact that Wilde Zwijnen uses local and seasonal – and therefore sustainable – products and ingredients, they also use green energy. They try to use as much organic products and ingredients as possible, depending on availability and pricing. They also serve only sustainably caught fish and organic meat. We appreciate their efforts by giving them the partially Conscious Travel label.